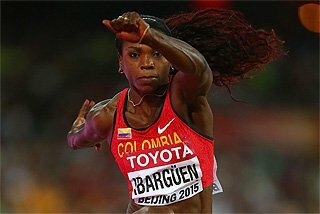 Mexico’s Ana Guevara and the Bahamas’ Tonique Williams-Darling will meet again in Mexico in a race that will bring the Gala Banamex Veracruz 2006 to a climax on Saturday 12 May at the Heriberto Jara stadium, Xalapa. A total of 24 Olympic and World Championships medallists are confirmed for the 12-event meet. 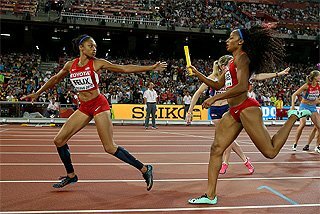 Together with USA's Sanya Richards, the Mexican and the Bahamian, the former and current World 400m champions have been the main protagonists of the women’s 400m in the last few years. And it will be the 15th time since 2003, that Guevara will face Williams-Darling, the current World and Olympic champion. Williams-Darling had an early start to the year running indoors in Britain at meets in January and February, and then back outdoors in March where she finished second at the Commonwealth Games in Melbourne, Australia, where she clocked 50.76. 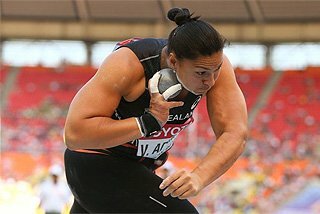 Guevara says she is in better form than around the same time last year, when the Bahamian set a world leading 49.85 to beat Guevara (50.05) at the Galatlética in Monterrey in June 2005. 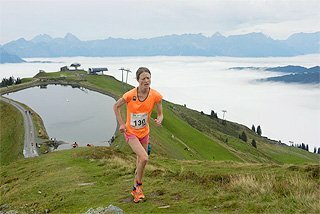 To add a further taste to the duel, other top runners on the Xalapa Mondo track, will include US´ Monique Hennagan, fourth at the 2004 Olympics in Athens. The race could see a sub-50-second performance, near or better than the 49.89 world leading mark, set by Sanya Richards in Kingston, on 6 May. World and Olympic Long Jump champion Dwight Phillips (USA) will make his second jump outing of the season after opening with a 7.82m in Tempe, USA on 15 April. 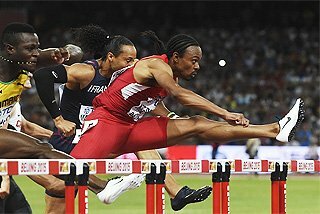 In 2004 he opened at the Banamex when the meeting was in Mexico City, leaping 8.44m. Considering Xalapa is located some 1500m above sea level, the 28-year-old wants to jump further than this year's leading 8.36m, set by World Triple Jump champion Walter Davis of the USA. Phillips’ main rival should be another American Brian Johnson, who equalled his personal best of 8.33m when second to Davis in Fort de France. As she did last year in Monterrey, Marion Jones will test her speed in the 100m, in her first outing of the year. 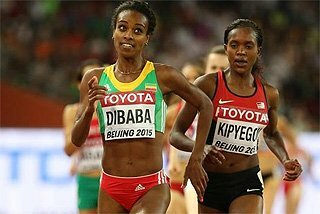 She will face a strong field led by 2003 World champion Torri Edwards. After two races in the French Caribbean, seven-time World sprint hurdles champion (indoor and out) and 1996 Olympic 110m Hurdles gold medallist Allen Johnson is ready to run fast in Xalapa. He will face the strong challenge of 2006 World Indoor championships bronze medallist Dominique Arnold, and his other countrymen: Arend Watkins, David Payne Robby Hughes and Jermaine Cooper. Johnson has run twice in Mexico, clocking 13.08 in Mexico City in 2004 and 13.39 in Hermosillo last year. 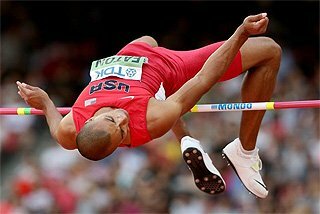 USA´s Tim Mack and Toby Stevenson, first and second at the 2004 Olympics, will surely raise the bar high in the men’s Pole Vault, as will 2006 World Indoor champion Brad Walker and American record holder Jeff Hartwig. Stevenson won the Banamex Grand Prix last year in Monterrey with 5.90m, and confirmed his good early season form this summer with a 5.75m clearance in Modesto last week. 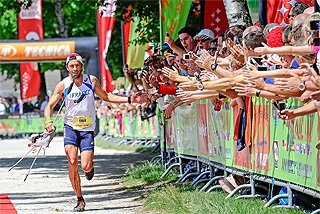 Giovanni Lanaro, fourth at the 2006 World Indoor Champs in Moscow, will try to please the Mexican crowd with a home win. The 24-year-old has already cleared 5.71 mindoors and aims to break the Mexican and CAC record of 5.72m, set by his countryman Paul Benavides in 1994. 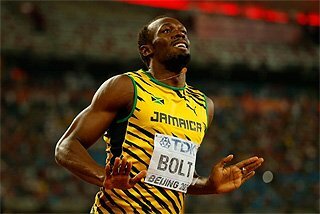 Jamaica’s 2005 World Championships finalists Dwight Thomas and Usain Bolt will start as the top favourites for the men's 100m and 200m, respectively. Making his debut in Mexico, Thomas will start his 2006 campaign against US sprinters such as Marquis Davis (10.24), Rodney Martin (10.29) and DaBryan Blanton (10.14), as well as Cayman Islands´ Kareem Streete-Thompson, who will opt for the 100m instead of the Long Jump. Usain Bolt, the 200m World Junior record holder (19.93), will make his third outing at the distance this season. The 19-year-old has already set the two fastest times of 2006: 20.08 and 20.10 from his wins in Martinique (April 29) and Kingston (May 6). Bolt will face USA’s 2006 World Indoor 60m champion Leonard Scott and 400m specialist LaShawn Merritt, who will also run in the half-lap event. Mexico’s top bet will be two-time CAC Games champion and 2004 Olympic semi-finalist Juan Pedro Toledo. The one-lap race features 2006 Commonwealth Games champion John Steffenson of Australia, who made substantial progress with his winning 44.73 in Melbourne. 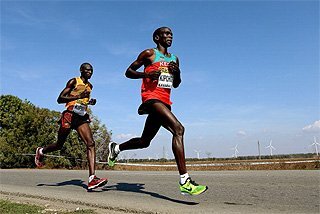 The field includes other sub-45 second runners: Jamaica’s Sanjay Ayre and Jermaine Gonzales, Congo’s Gary Kikaya and USA´s Terry Gatson and Angelo Taylor. 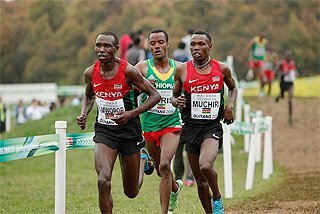 The men’s and women’s 5000m will see a hard-fought battle between Mexican, African and some European runners. A total of 12 events will be staged at the Gala Banamex Veracruz 2006: 100m, 200m, 400m, 5.000m (both men and women), as well as the men’s Pole Vault and Long Jump and the women’s High Jump. Xalapa has hosted the inaugural edition of the Central American and Caribbean Athletics Championships in 1967 and two more editions in 1977 and 1991. 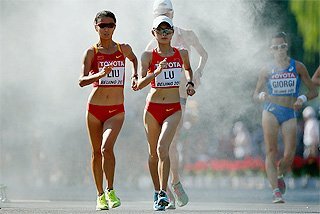 The state of Veracruz in eastern Mexico also organized the 2000 World Half Marathon Championships and other regional events.